Theme parks are a source of fun and excitement for many people. One of the most famous theme parks in the world is Disneyland. Every child dreams of going to this magical place and meeting his or her favorite Disney character. Beside Disneyland is another amusement park called Disney California Adventure. Both were built and are managed by The Walt Disney Company. So what is the difference between the two theme parks? Continue reading and discover what sets them apart. Featured show is Fantasmic! Featured show is World of Color – Celebrate! Disneyland is one of the most famous and largest theme parks in the world in terms of annual visitor attendance. It all began with Walt Disney’s vision of an amusement park that offers both entertainment and educational value for kids and adults. He arrived at the concept of Disneyland after he went to different amusement parks with his daughters. Walt Disney bought a 160-acre property near Anaheim, California to start building his dream. Disneyland officially opened on July 17, 1955. It is the only Disneyland theme park that was built under the direct supervision of Walt Disney. The park stands on 85 acres of land and has 8 themed sections, namely: Main Street, USA, Adventureland, New Orleans Square, Critter Country, Frontierland, Tomorrowland, Fantasyland, and Mickey’s Toontown. They have also announced the building of their newest themed land – Star Wars. Disneyland is also known for their different attractions such as the Pirates of the Caribbean, It’s a Small World, Splash Mountain, Matterhorn, and the Space Mountain, among others. Guests also look forward to the nighttime show “Fantasmic!”, where the Disney characters are featured with water effects and fireworks. The park offers a full Disney experience based on several Disney characters and stories. They have rides suitable for both kids and adults. Every section of the park also has themed restaurants where guests can eat and relax. 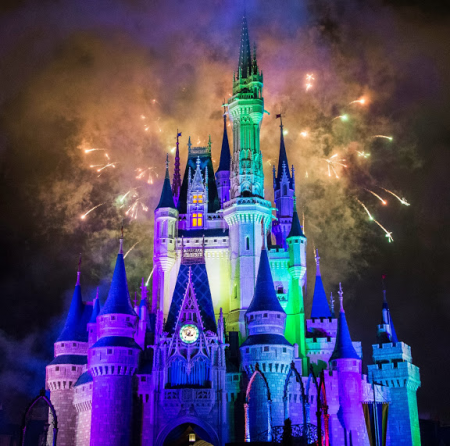 Disneyland is dubbed as “the magic kingdom” and the “happiest place on earth.” Currently, there are different Disneyland parks all over the world. Disney California Adventure, or DCA, is the theme park adjacent to Disneyland in Anaheim, California. The concept of another theme park was conceptualized at a meeting among Disney executives as a replacement for a canceled project. Initially, the Walt Disney company wanted to build what they called WestCOT, likened to the EPCOT center. But the project was deemed too costly to pursue. Hence, Disney California Adventure was built. It stands on 72 acres of land, which was originally Disneyland’s parking lot. The park officially opened in 2001. At the start, the park did not have good reviews and was not able to meet visitor’s expectations. The park’s overall them revolved on the richness and diversity of California. However, it was noted to be more of a generic amusement park. Through the years, more rides and attractions were added. The park was re-booted to enhance the Disney appeal. Disney California Adventure has 7 themed lands, namely: Buena Vista Street, Grizzly Peak, Hollywood Land, A Bug’s Land, Pacific Wharf, Cars Land, and Paradise Pier. The park offers more adult rides than Disneyland. Some of the famous park rides are Mickey’s Fun Wheel, California Screamin’ and the Grizzly River Run. They also have a nighttime show called “World of Color – Celebrate!” It is a show featuring a musical water fountain with a lights, fire and laser show. 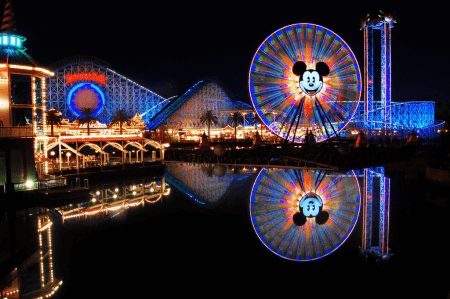 What is the difference between Disneyland and Disney California Adventure? First off, Disneyland was conceptualized by Walt Disney, but Disney California Adventure was not. Disneyland is built on 85 acres of land and Disney California Adventure has a 72-acre lot. Disneyland has 8 themed sections, showcasing well-loved Disney stories and characters. Disney California Adventure has 7 themed lands, with the combined appeal of California and Disney. Both are known for their nighttime shows. Disneyland has “Fantasmic,” featuring Mickey and other Disney characters in an exciting show with water effects and fireworks. DCA has “World of Color – Celebrate!” which presents more than a thousand musical fountains choreographed with lasers and various lighting. One major difference between the theme parks is that Disneyland does not offer alcoholic beverages in its restaurants while DCA serves alcohol.